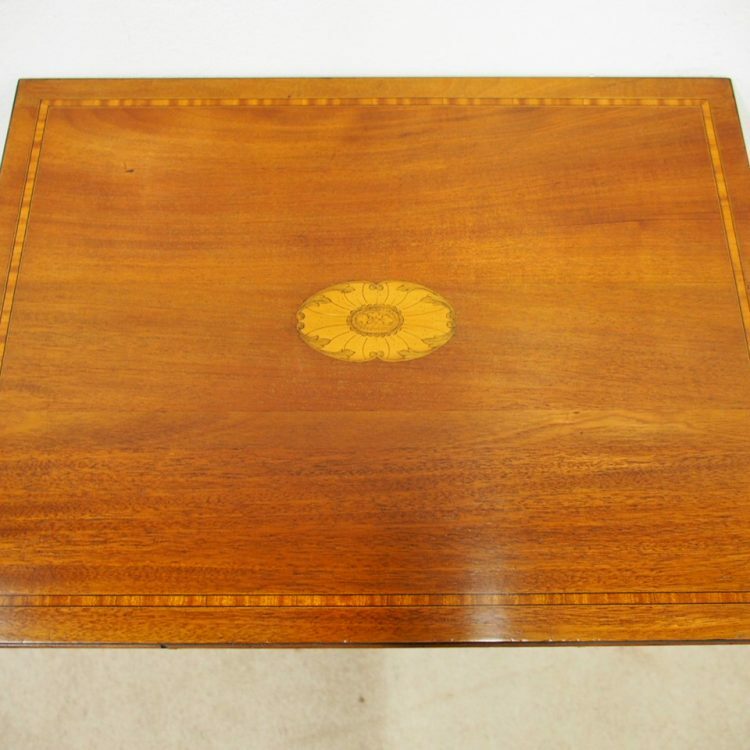 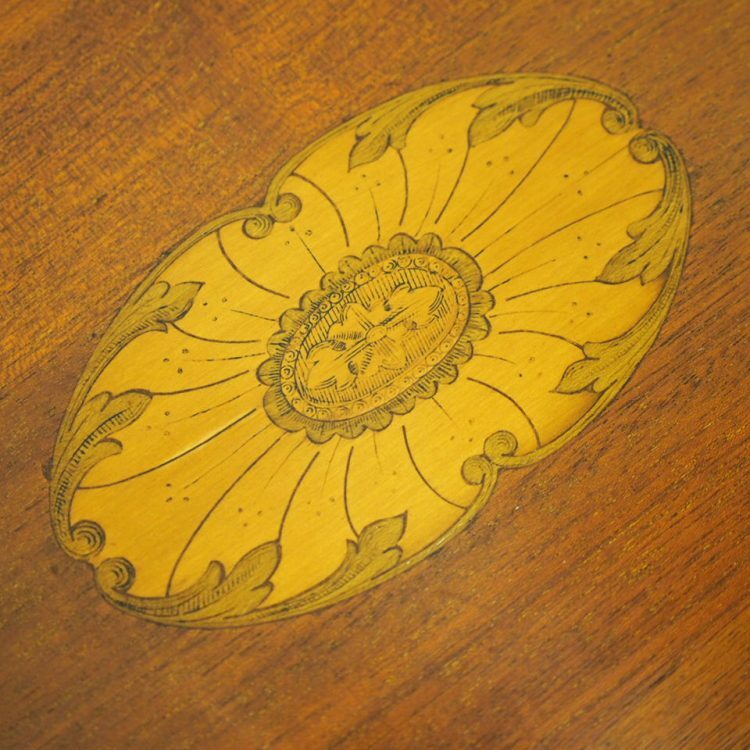 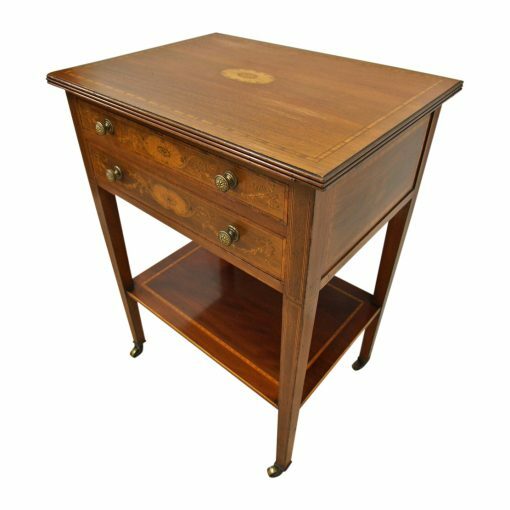 Circa 1900, tall marquetry inlaid side table in the Sheraton style by the famous cabinetmakers Maples and Co London. 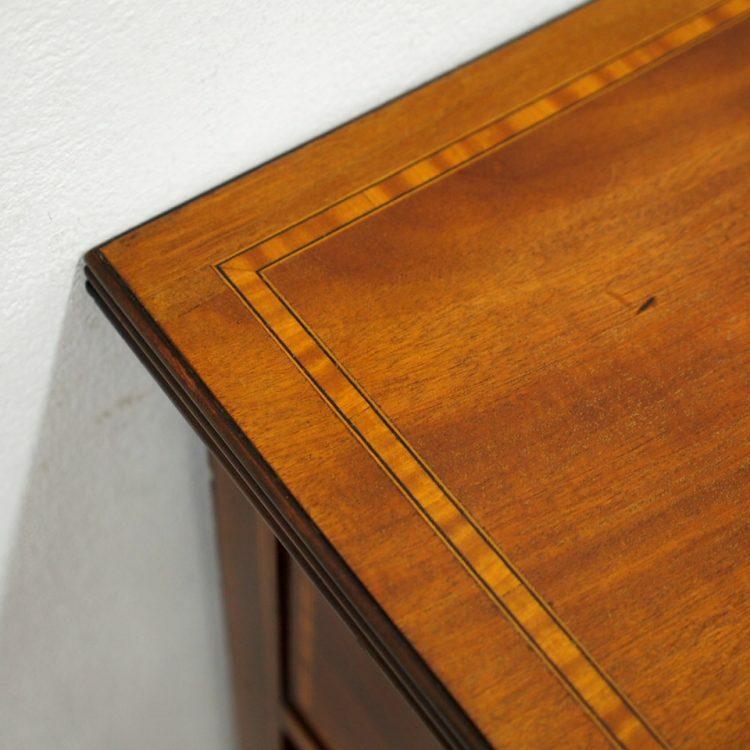 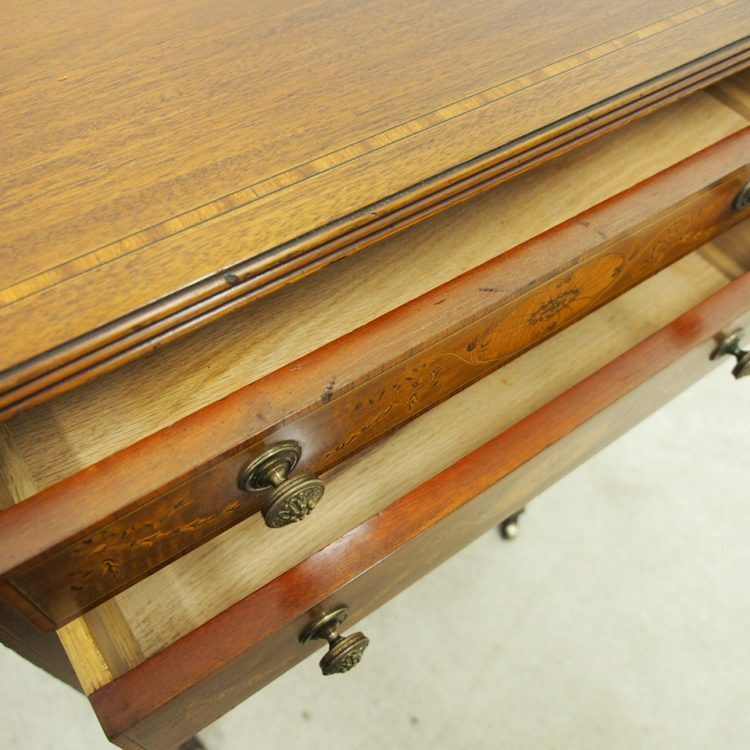 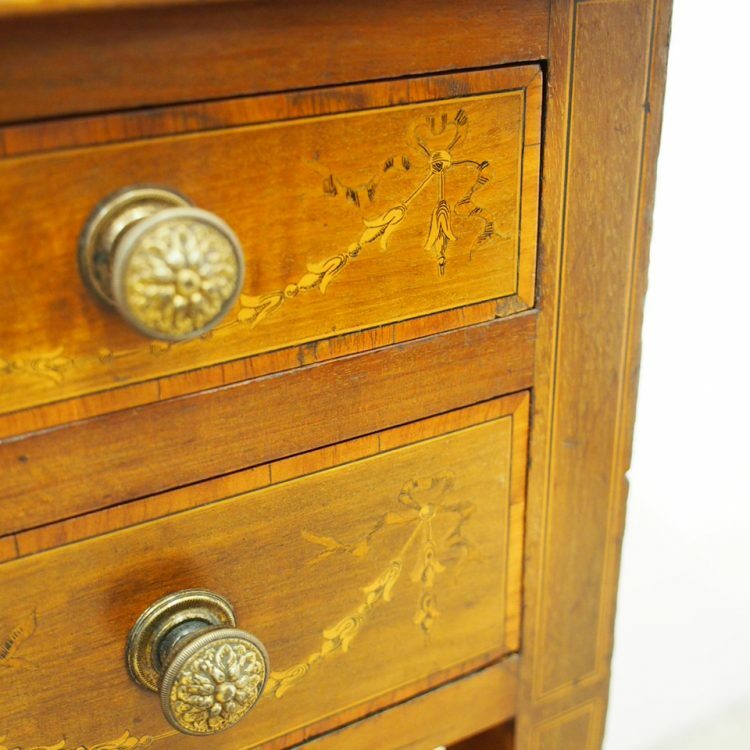 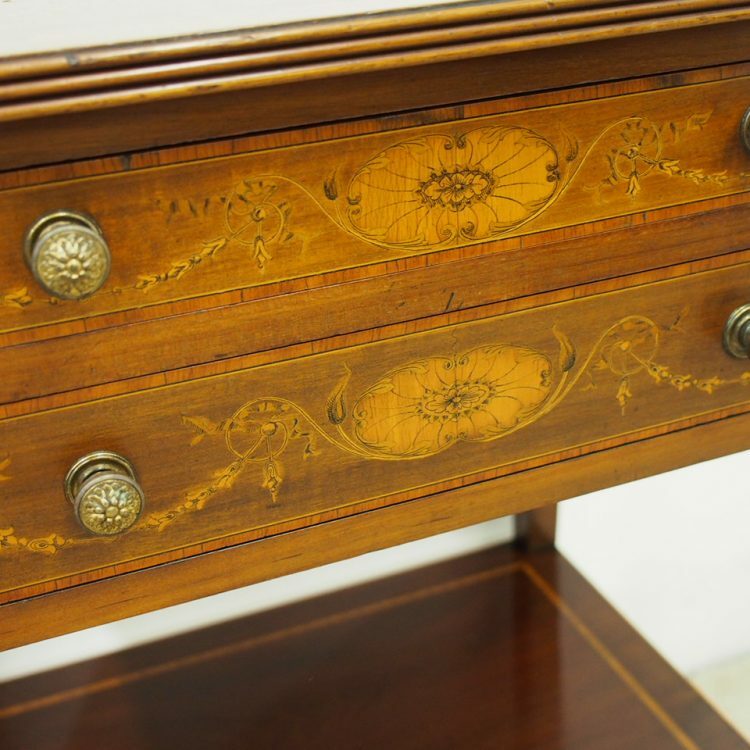 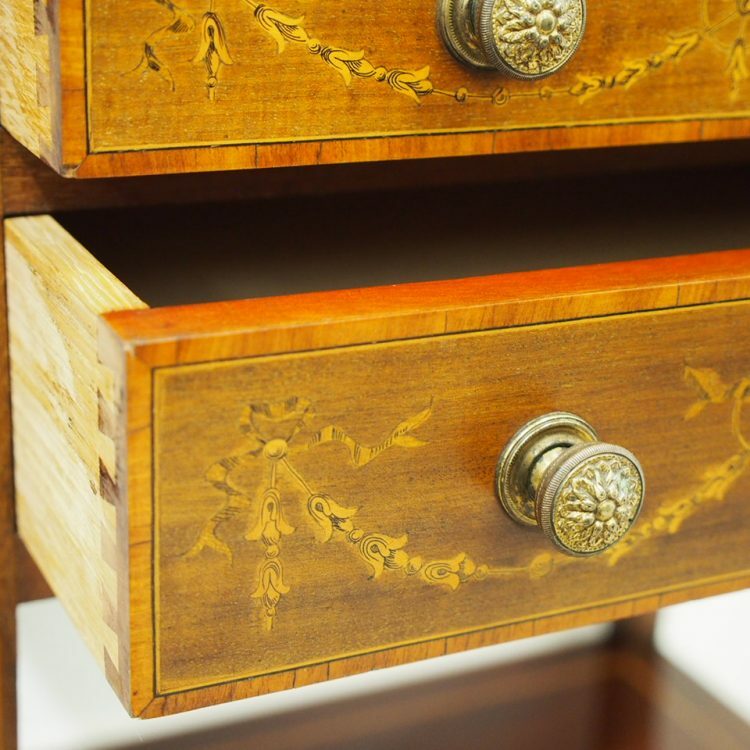 The rectangular top with satinwood, ebony and boxwood inlay is above two fine marquetry inlaid drawers with engraved brass knobs. 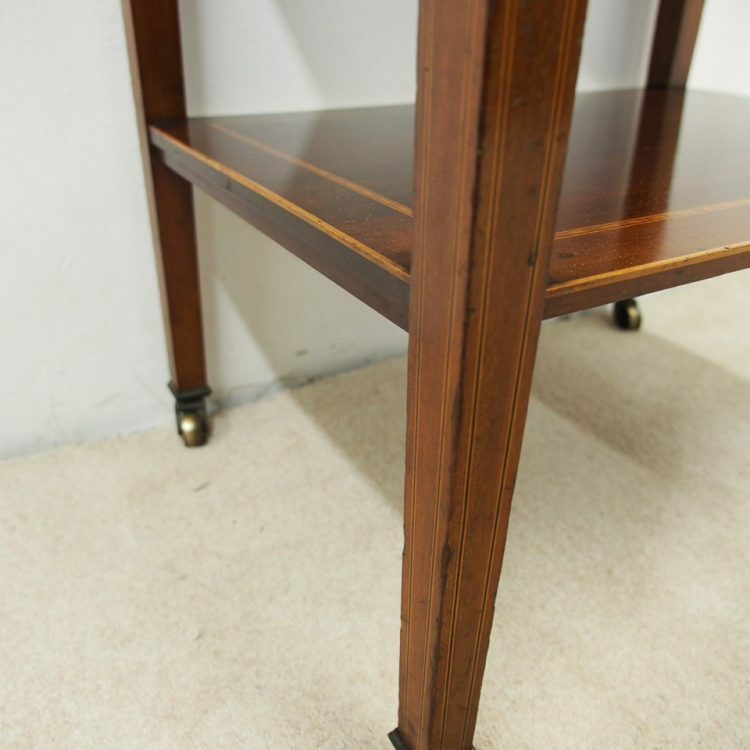 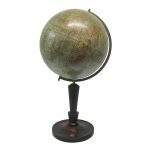 It has an inlaid under shelf and is all supported by tapered inlaid supports with brass castors.